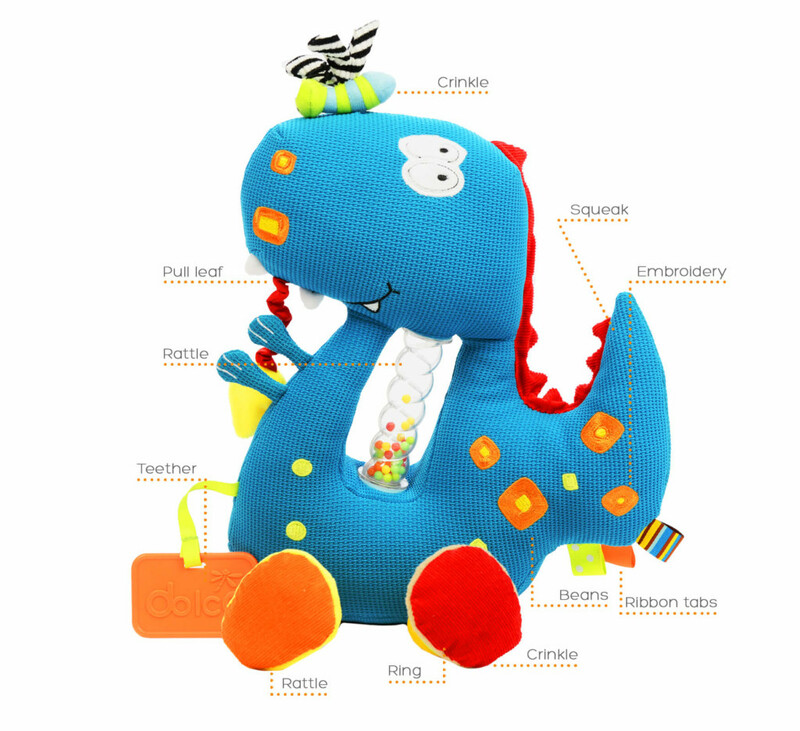 This fun and friendly Dino has loads of engaging features to keep children entertained for hours. By pulling the leaf on the mouth, Dino will vibrate hilariously. 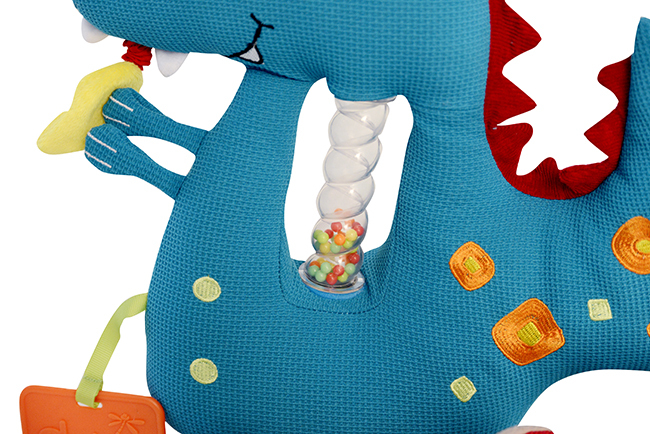 The stomach also has a cascading bead rattle. There is a squeaker in the tail and crinkle in the nose. One foot has a rattle whilst the other has a teether ring and a crinkle. 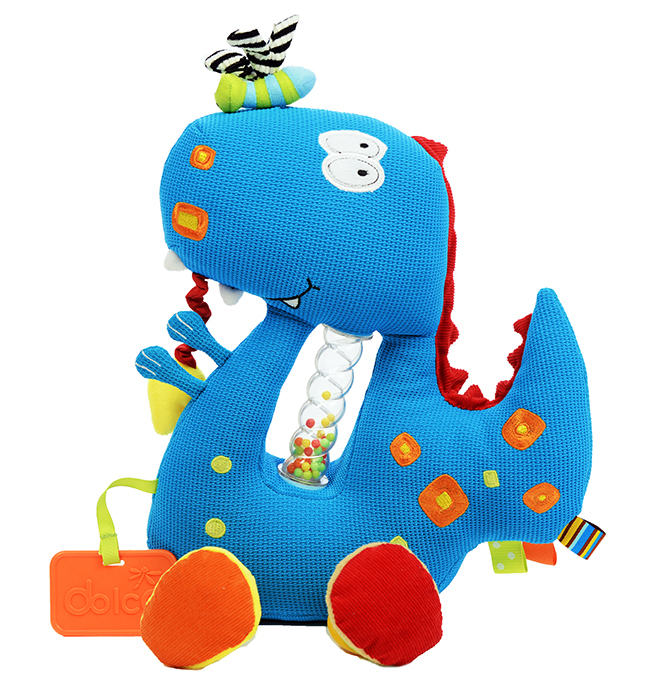 • Sounds: Children will delight in creating sounds through using the squeaker, rattles and pulling the vibrating leaf. • Vibration: Children will delight at the funny vibrating motion when the leaf is pulled. 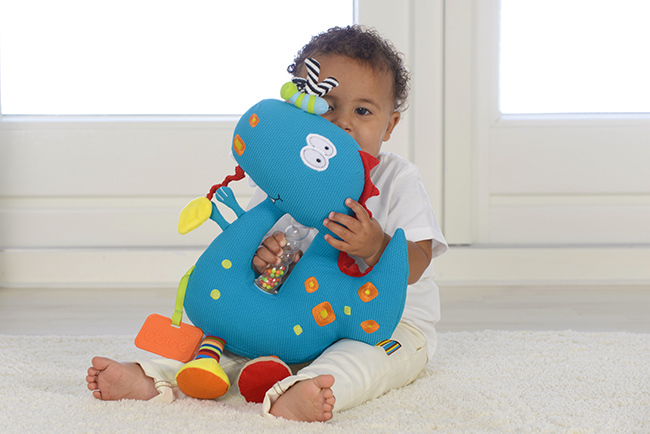 • Touch: The different textures, crinkles and squeaky nose are extremely satisfying for children to play with. • Helps to connect motor skills with auditory learning by squeaking, Rattling and pulling the vibrating leaf. • The cascading bead rattler introduces the concept of gravity at an early age. • Visual learning is provoked through color perception and cascading beads.